Prime Minister Narendra Modi's comment appeared to be a response to questions raised by opposition leaders who had accused the government of rushing the launch of Vande Bharat Express. Prime Minister Narendra Modi had launched the Vande Bharat Express on Friday. 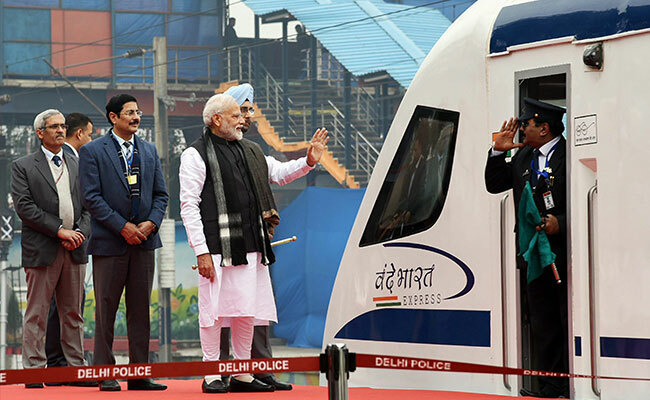 Prime Minister Narendra Modi on Tuesday said that people who are "mocking" India's first engine-less train Vande Bharat Express, which suffered technical problems on its inaugural run on Saturday, should be "punished" for "insulting" India's engineers and technicians. The Prime Minister's comment appeared to be a response to questions raised by opposition leaders, who had accused the government of rushing the train's launch. "Some people targeted and mocked the semi-high speed train. This is unfortunate. This is an insult to engineers and technicians involved in the project. People should remain alert against such people who are insulting engineers and technicians and mocking the country," PM Modi was quoted as saying at a rally in Varanasi by news agency PTI. "I salute engineers, who will in future make a bullet train in India and run it also...I am getting letters from people who are hurt," the PM said. "Is it right to insult engineers and technicians? Is mocking them right? Can they be pardoned? Should they not be given right punishment at the right time," he added. 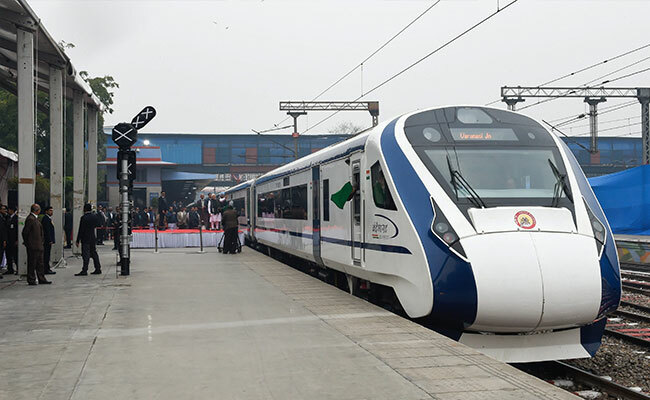 Vande Bharat Express, formerly known as Train 18, suffered technical problems on its inaugural run. Congress chief Rahul Gandhi and Samajwadi Party leader Akhilesh Yadav had questioned the government over the incident on Saturday when Vande Bharat Express, formerly known as Train 18, broke down about 200 km from Delhi on its return journey from Varanasi. People on board, mostly railway officials and journalists, had to be transferred to another train as the staff said control systems on the Vande Bharat Express had failed. The train, billed as India's first semi-high-speed train, then reached Delhi hours later at a much slower speed, where it was fixed. It began its commercial operations a day later. Mr Gandhi had directed his criticism at Make In India, the government's programme to encourage manufacturing. "Modi ji, I think Make in India needs a serious rethink. Most people feel it has failed. I assure you we in the Congress are thinking very deeply about how it will be done," he had tweeted. "After the inauguration, fumes were seen in Vande Bharat train, power failure inside coaches, snag developed in brakes after which train came to a halt. Vande Bharat is a story of development. Farmers are angry, youths are unemployed, security system has collapsed and country's economy shattered," Akhilesh Yadav had tweeted.